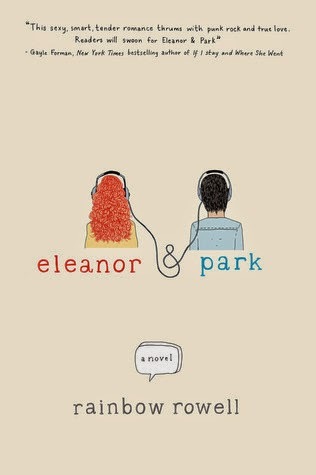 Eleanor and Park is a great addition to the YA canon. In a field recently dominated by the supernatural, it's a welcome dose of realism, much like The Fault in Our Stars. Park is a high school student of middling social status. He feels vulnerable because of his half-Korean ancestry, but he has friends in every clique and maintains a respectable dignity and social life. Eleanor, on the other hand, is new to the school and a mess. She dresses in odd, patched-up clothing, her big red hair is wild, and she radiates weirdness, and not in the coolly eccentric way—in the wounded gazelle way that makes her a target for every mean-spirited teenage predator. There's much to love about this novel. Park and Eleanor begin a friendship that grows into romance in small, believable steps. Behind Eleanor's odd appearance is just the kind of neglect, poverty, and violence that is so often invisible to the outside world. Most of all, I loved how Park struggled with embarrassment over Eleanor's appearance and fear that associating with her would lower his social status. Park's embarrassment is fleeting, which is, I suspect, a bit of forgivable idealization. As much as we may make distinctions between realistic novels and escapist novels, so-called realism can be just as romanticized as fantasy. Park is as perfect a boyfriend as Peeta or Four. He finds her excess weight sensual and her weirdo clothes endearing. And when she is targeted for bullying, his response is pure concern for Eleanor, impervious to shame or self-regard. This is not a bad thing for a YA novel, or any novel. The sense of body shame in women and girls is out of control in our society. We need to be reminded that being normal is in fact normal and you don't need to be pretty to be happy. I suspect, though, when the book is turned into a movie, that the producers will pull a Hermione and cast a red-haired beauty, letting the unruly hair and worn clothes stand in for plainness. As an antidote, Google "Eleanor and Park" images and enjoy the fan art, which is gorgeous in its true realism.